Anyway, I found myself at the YSL stand and before I realised what I was doing, my hand was covered in swatches from nudey to peachy to pinky. Then I saw this one. I thought, hmm, this looks relatively normal and safe and let me just see what it looks like on the back of my hand. It was love at first swatch. To make sure, I asked the sales assistant for a wipe to clear my hand of all other swatches and I applied it carefully alllll over the back of my hand. She asked if I wanted to try it on my lips but I knew I didn't have to. It was perfect. There was a brief moment where she thought she didn't have any in stock, at which point I clenched because I knew I'd spend my holidays looking for this lipstick. Thankfully, she found one and I unclenched. Holidays are supposed to be relaxing. So it looks kind of dark and rosy in the bullet, almost pinky red, but just look at it on the lips. If this isn't rosy corally perfection then I don't know what is. It goes on like buttah and feels really moisturising on my lips which I love. 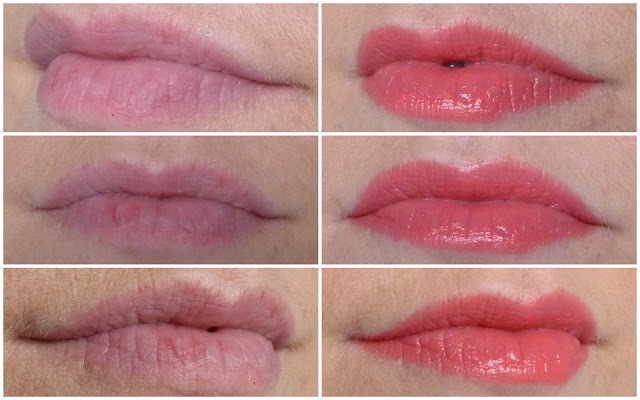 As you can see, my lips aren't very pigmented and are usually very dry but just look at them with Rose Dahlia. Sigh. It leaves a glossy finish and is really flattering on my skin tone. I'm guessing it'll look even more gorgeous when I have a bit of fake tan on the visage, so must get cracking on that! Needless to say, I spent the holiday taking the lipstick out of the tube, admiring it, showing it to my mam and then putting it back into the box. I kept it in the safe so that it wouldn't melt in the heat and had to wait until I was back to take proper photos in good lighting. I can't remember how much this was in the duty free but right now it's reduced from €31.50 to €28.35 in Debenhams. Looks lovely! 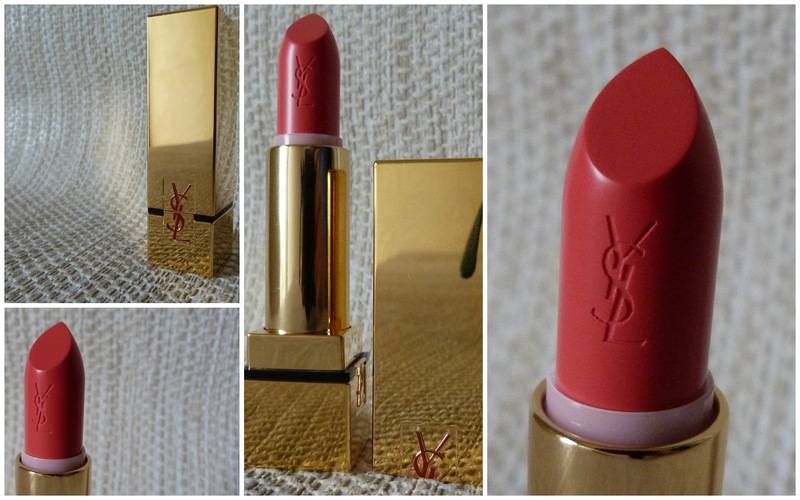 Do you think this would make a nice wedding day lipstick for bride? Getting married in a few months...or could you recommend anything else from your stash? Heard mac plumbful was meant to be nice also. I've dark hair, want something with a bit of colour but not too dark. I'll have a look through my stash and get back to you! Congrats!! This was my first one too and totally worth it. I think it's the beginning of a beautiful relationship!